… were three of the best months of my life! …but the best of all, when we came back, there was an elephant at Laetitia’s house! My first approach with a wild elephant! At first he was a bit nervous and raised his head to make himself look bigger and more intimidating. But after Laetitia spoke to him, the big bull relaxed. I was just astounded by the respectful interaction between the two of them! It was incredible! They truly are wonderful animals. At 7:00am we went to Klaserie Private Nature Reserve for our animal tracks & signs assessment. 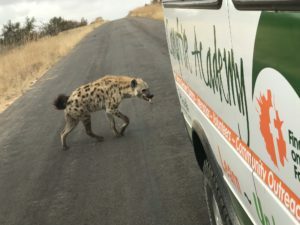 On our way we had an amazing hyena sighting. At the beginning of the assessment I was quite nervous, but it went well! Afterwards our assessor James drove us to see something truly magical and unexpected: wild dogs with 10 cubs! Tracks & signs was definitely one of my favourite parts of the course. Everyone in the group passed and we had a big celebration at Sleepers, the best local bar and restaurant. I saw the cutest thing today! A newborn giraffe! 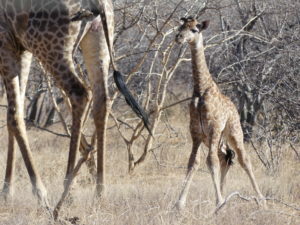 The baby was still walking all wobbly and still had the umbilical cord attached. It’s unbelievable what I’ve seen here in the past few months! Never a dull moment! It was very hard to choose parts out of my diary but these were some of my favourite special days. Every single day had highlights and little presents from Mother Nature! I also did a research internship on the aquaponics system at Campfire. I really enjoyed the opportunity to learn about sustainability and finding real-life environmental solutions for real-life situations. 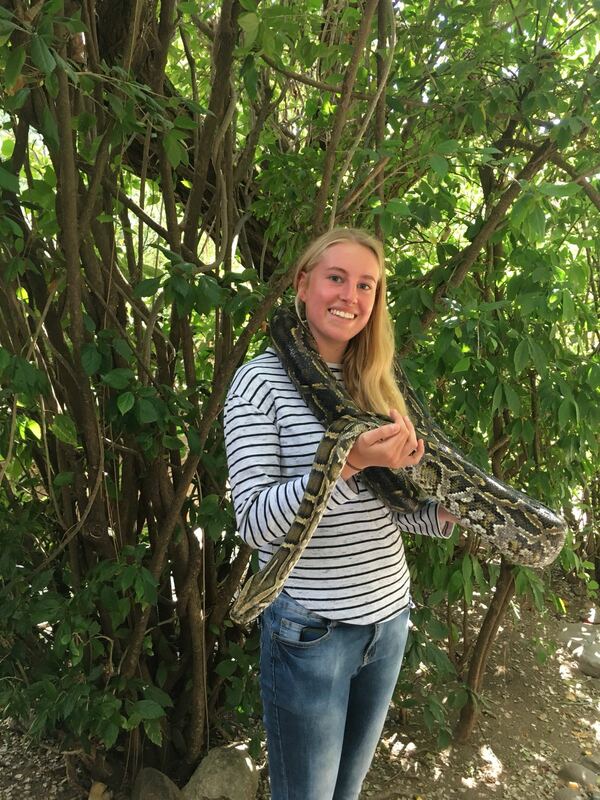 There are multiple options for conservation, sustainability and ecology internships at Campfire. I would recommend anyone to go to Campfire for an educational experience that draws together so many different fields and ideas. You will never think about the environment in the same way after that. Simply mind-blowing!